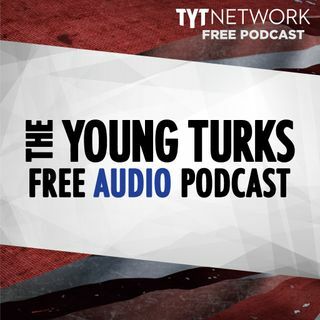 A portion of our Young Turks Main Show from February 6, 2018. For more go to http://www.tytnetwork.com/join. Hour 1: Cenk. Trump refused to say Wednesday whether he would grant an interview to special counsel Robert Mueller, who is probing Russian interference in the 2016 presidential election and possible ties between the Trump campaign and the Russians who attacked that election. Trump considering firing Kelly. Donald Trump and his fellow Republicans’ sweeping attacks on the nation’s premier ... See More law enforcement agency appear to be working: Nearly three-quarters of Trump voters ― 74 percent ― say the FBI is biased against the president. Hour 2: Cenk & Ana. A "tiny," one-woman firm "inexplicably" won a $156 million federal contract to deliver 30 million meals to Puerto Rico hurricane victims — but managed to deliver just 50,0000 meals before the contract was terminated for cause three weeks later, outraged lawmakers said Tuesday. Atlanta-based Tribute Contracting had "a history of struggling with much smaller contracts" before winning the Federal Emergency Management Agency contract, noted Reps. Elijah Cummings, D-Md., and Stacey Plaskett, D-Virgin Islands. "It is difficult to fathom how FEMA could have believed that this tiny company had the capacity to perform this $156 million contract," Cummings and Plaskett wrote in a letter to House Oversight and Government Reform Committee Chairman Rep. Trey Gowdy, R-S.C. The firm ended up being paid $255,000 for 50,000 meals. Following the death of Indianapolis Colts linebacker Edwin Jackson, 26, in a car accident, Trump took to Twitter Tuesday to tie the professional athlete's death to a need for tougher border security. "So disgraceful that a person illegally in our country killed ... Jackson," the president tweeted, calling the tragedy "preventable" and insisting the Democrats "get tough on the Border." The accident that killed Jackson took place around 4 a.m. Sunday and officials said the athlete was the passenger of ride-share driver Jeffrey Monroe, 54, of Avon, Indiana, who was also killed. Indiana State Police said Tuesday the driver of the vehicle that struck Jackson and another victim was an undocumented immigrant, CNN reported. It is believed the driver, identified by detectives as Manuel Orrego-Savala, was intoxicated at the time of the accident. According to CNN, Orrego-Savala is a citizen of Guatemala who had previously been deported in 2007 and 2009.